There are many myths about the real estate industry floating around that makes it very confusing. When you buy or sell your home with a trusted REALTOR at the Lake of the Ozarks, they can help you debunk some of these myths. 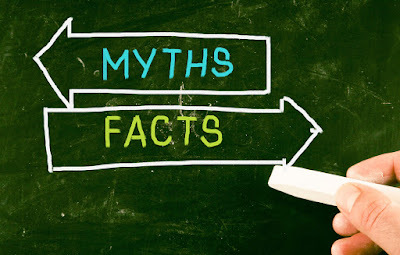 The Fran Campbell Team is here to explain the truths behind some common myths you may have come across during your research. 1. Price your home high to leave room for negotiating. Truth: Many times, buyers won't even look at homes that are priced above the market value. You could lower your price, but buyers are often suspicious of homes that have sat on the market for a while. This means that if you overprice your home, you could be left very frustrated. Before pricing your home for sale, talk to a professional real estate agent and make sure your home is properly priced to sell. 2. Never buy the biggest house on the block. When you decide to sell your home at the Lake of the Ozarks, selecting the right agent is important. A home purchase is usually one of the biggest investments a person makes; when it comes time to sell this major investment, you want to find an agent who has your best interests in mind. 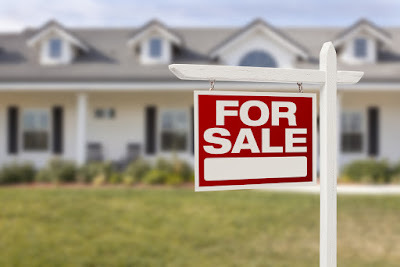 The experienced Fran Campbell Team provides personalized service when it comes to selling our client’s homes. Below, the trusted real estate team in Osage Beach, MO has provided some questions a homeowner should ask their seller’s agent before they hire someone. 1. Can you explain the selling process? Even if you are familiar with the process in general, this question can help refresh what will happen while your property is for sale. Each agent may have a different twist on how they handle few things, so it is best to hear about their plans for selling your property before making an agreement. 2. How much is my property worth? Why? Named Among America's Best Real Estate Agents! The real estate market at the Lake of the Ozarks is ever-changing and we pride ourselves on adapting and helping our clients navigate the market successfully. At the Fran Campbell Team, we work together with our clients to help reach their real estate needs and goals. Whether you wish to sell your current home, search for a new home, or both, the best real estate agents at the Lake of the Ozarks are here to help. With over 103 years of combined experience in the Lake of the Ozarks real estate market, our team is knowledgeable and willing to work hard for our clients. We are proud to announce that we were recently named among America’s Best Real Estate Agents by Real Trends! What is America’s Best Real Estate List? 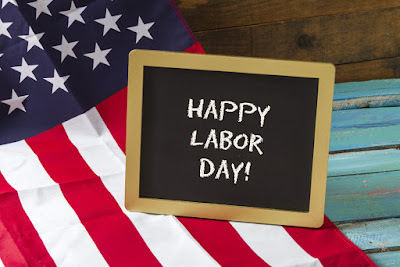 There is never a dull moment when living at the Lake of the Ozarks; with exciting events happening every weekend, this is a great place to call home. If you are looking for a fun, family-friendly activity to partake in this Saturday, August 6, 2016, The Great Dam Duck Drop is the place for you! The Fran Campbell Team is here to help you enjoy your Saturday with the family, by providing details about this family-friendly opportunity. This event offers an chance to bring the kids out for a fun-filled time. What is all the Quackin’ about? The Great Dam Duck Drop is a fund raising event for the Ozark Coast Kiwanis Organization, which helps local children in need throughout the year. Duck tickets can be purchased prior to the event and at the Fun Zone the day of the event. 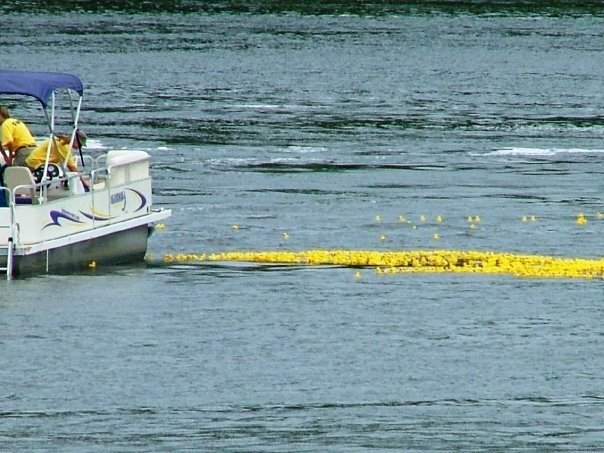 The numbered ducks will be dropped from a helicopter and pontoon boats into the river at noon and the first eleven ducks to cross the finish line win prizes.